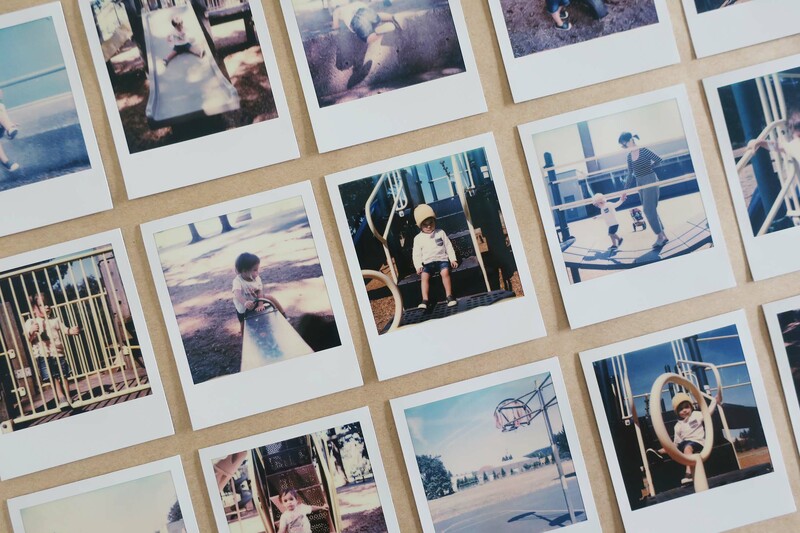 We sat down with Aaron Durand, an everyday dude (as per his Instagram account), who takes amazing everyday Polaroid photographs of his family and friends. He shoots with the intent to preserve the people he loves in film. 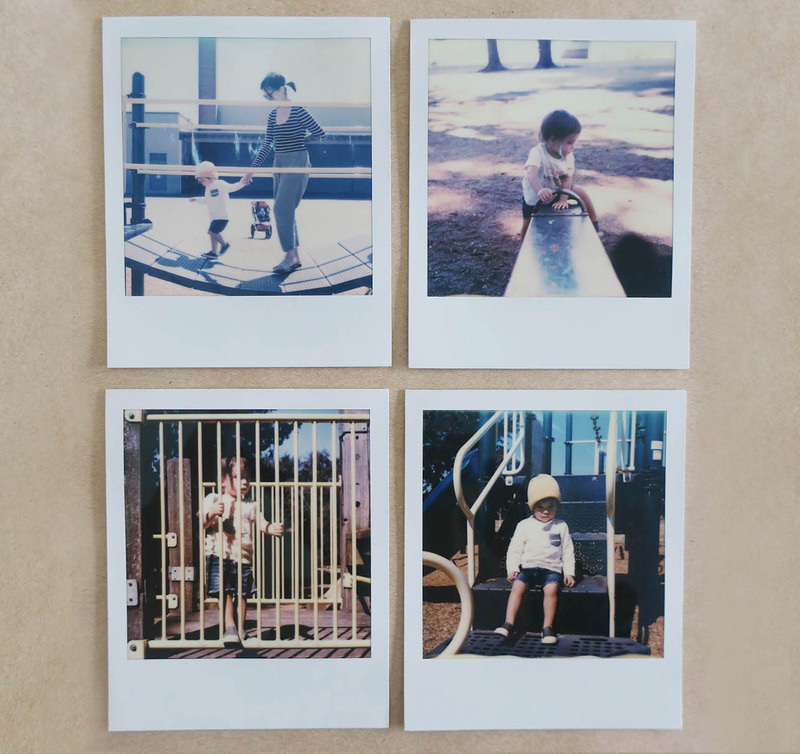 He took the series included in this interview of his two-year-old son and wife on the Polaroid SX-70. Can you start by telling us a bit about when you started getting into photography? AD: I really started to get into photography when I moved to San Francisco in 2008. It's such a photogenic city. The architecture there was so different than what I'd been accustomed to in Portland, Oregon where I'm from. So I took an interest in photography as a way to explore the city and familiarize myself with my surroundings there. How about instant photography? 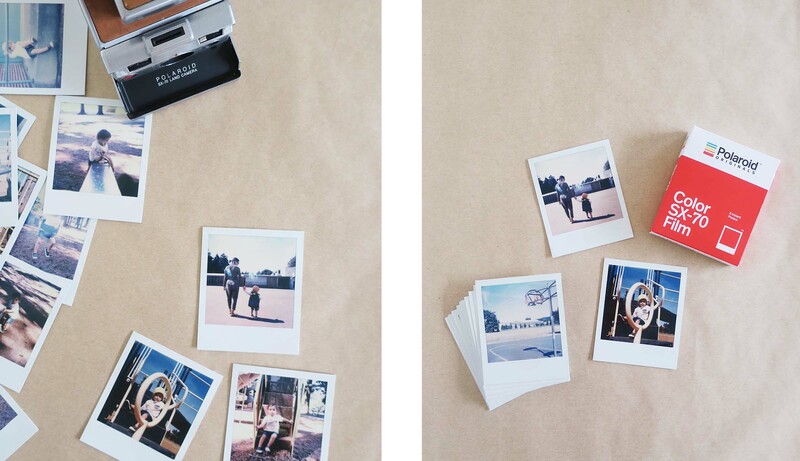 When did you first start using a Polaroid camera? 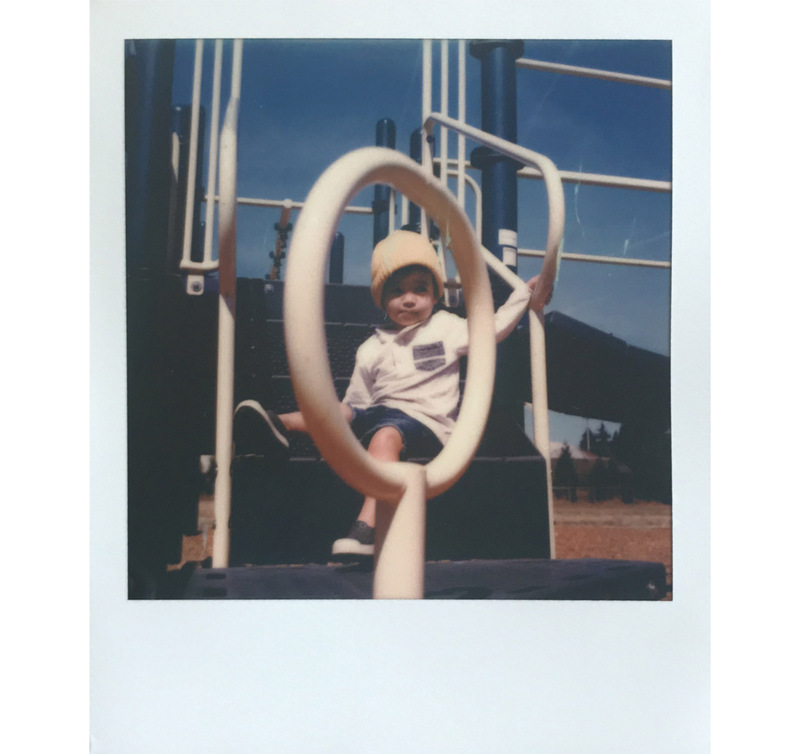 AD: Growing up in the 80's, there were always Polaroid OneStep cameras around, so I was familiar with those, but as an adult, I think I first picked up a couple of the Polaroid 600 line. Then I found a Polaroid 240 Land camera followed by a couple Polaroid SX-70s at flea markets. I shot and continue to shoot all kinds of things, though I have a specialty in railroad photography and have a background in shooting lots of graffiti. AD: These days I shoot my family mostly. A sentiment I keep hearing, echoed from friends who've lost family members, is how important it is to shoot images of the people you love while they're with you. I've been shooting with intent lately and am taking more candid portraits for posterity. I want to have memories of my friends and family as I saw them when we were just hanging out casually. The images of your family are very natural and intimate. How important is it for you to connect to the person you photograph? AD: It's easy to photograph my family. Harder to ask a stranger for a portrait. I usually don't shoot people, but I get some practice with my kiddo and my lovely wife. I think shooting people is all about the connection between the subject and the photographer, who invokes a desired reaction from their subject. I'm social but I'm not sure I have what it takes to give direction or set someone at ease well enough to take a really great portrait of a stranger. My friend, Benjamin Heath, is a master of portraits. It's fun to watch him work. Can you tell us a bit about what these images mean to you? AD: The instant images I shoot are invaluable. As my child grows up I think they'll prove to be very cherished. Even moments that feel mundane will be looked upon with love and nostalgia. I worry that the advent of smartphones and Instagram (while both incredible in their own right) are preventing people from printing photographs anymore. Do people still make family photo albums anymore or do those only exist digitally on Facebook? I'm terrified of NOT documenting these moments. Even though I'm terrible at making photo albums, we have boxes and boxes of Polaroid pictures at home. I want my child to have family photo albums, so I'm making a point to shoot instant images and print the film images I take of our family. Maybe one day I'll get around to organizing them. Right now, I'm just excited to watch my son grow up and continue to document his life. What do you hope these photos will be for your son when he grows up? AD: I just want him to have nice images and memories of his family after we're gone. He's just under two years old right now so these are times he'll likely not have any memory of. I want him to see himself and to see us as we were when we were all young(er). 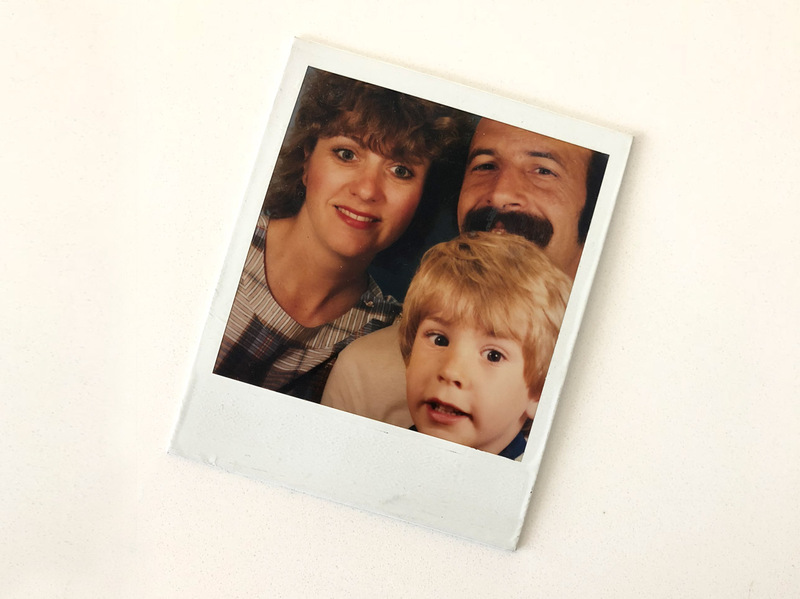 Here's a Polaroid picture of my folks and me that I recently discovered and had never seen before. I'll cherish it for the rest of my life. I want him to have those moments too. AD: Mostly it's meant that I own twice as many cameras as I would have otherwise. Otherwise, it's been very useful for all of the reasons I have already listed. Great for shooting images at home of our family through the years to have forever. 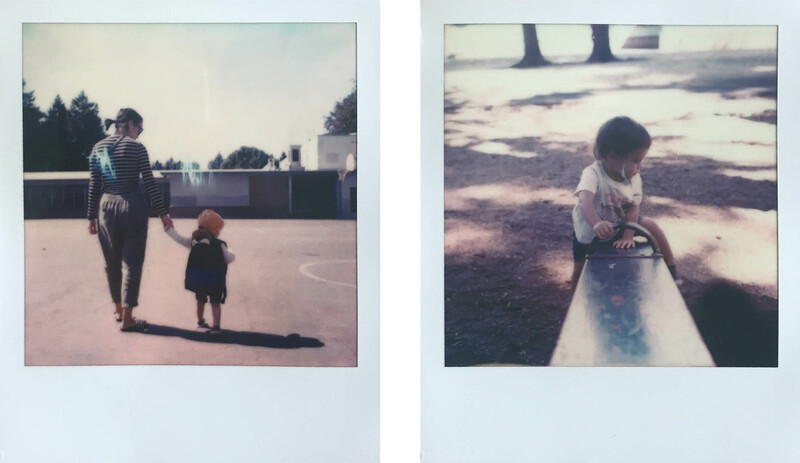 How does instant photography fit into your work? AD: Photography is still a hobby to me. I shoot a lot but I have been very careful not to take it too seriously because I want for it to still be fun. I think when you make one of your hobbies a career, you can lose a lot of the enjoyment you derive from it. I shoot film mostly because I don't want to spend loads of time editing digital photographs. I also really believe in tangible things like negative and instant film. A hard drive can fail, a box of Polaroid pictures won't. AD: I work for a digital media production agency here in Portland. My photography is strictly a hobby and I only have one ongoing photo project that is long exposure images of trains. I've never experimented with instant images in that series but that could change. It's mostly a winter hobby so maybe I'll give it a shot this holiday season. AD: I'm working on shooting a portrait project of everyone in our office on my Polaroid SX-70. Still working to get it off the ground, but I'm excited to get out of my comfort range to do this. AD: I think Brock Fetch is my favorite instant shooter. He has access to all kinds of great musicians and I really connected with this image of Vince Staples. I think Vince has a lot to say and this is pretty representative of his music and his struggles as an artist. AD: Take more instant photos. Just take them. Keep them in boxes. You'll be thankful later. To see more of Aaron's work check him out on Instagram at @everydaydude.